My small space in the world where I share my passions for family, scrapping, stamping, traveling, stamping, and life. What do you expect from Christmas papers? 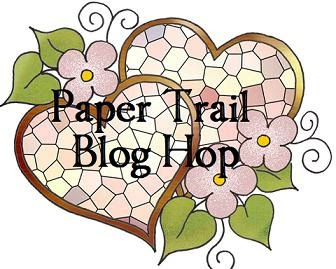 Paper Trail for August!! Old and New! I am loving living in Mukilteo. I have two grown boys. Loren is married to Karen and they have three darling daughters. Paul attends Eastern Washington University majoring in music education. He and Katie are engaged and have a darling little puppy named Melody. I have a wonderful, wonderful sweetie: Michael who has become a focus of my life. I am close to siblings and my mom. I have a best friend from college, amazingly special friends from my last school district, and am gaining some great new friends in my neighborhood and new school. I live in a cute little neighborhood of 24 townhouse condos and we do something to celebrate every month. My cute little place is done in soft whites with lots of warm, dark, antique furniture and splashes of color (like my all time favorite, red). White just suites me for now after all the years of kids. LOL I'll get around to painting some of it sometime. I did put up curtains. :) I fenced my little backyard and put in a hot tub. I have a stamp room with a table big enough for 6 to scrap around and still enough room for a guest room and bath. I just love my little home. Did I mention that, yet? I love sharing my ideas and art, but everything that I share is for your personal inspiration and enjoyment only. It may not be copied or used for publication or design contests. Thank you for obeying the golden rule.